The diagram below sets out the KS4 curriculum which is followed by students in Years 10 and 11. The school week is split up into 43 periods each of 35 minute duration. The number below each subject indicates the number of 35 minute periods allocated to that subject each week. Students are asked to make 4 subject option choices as they move into Year 10 from the list shown. 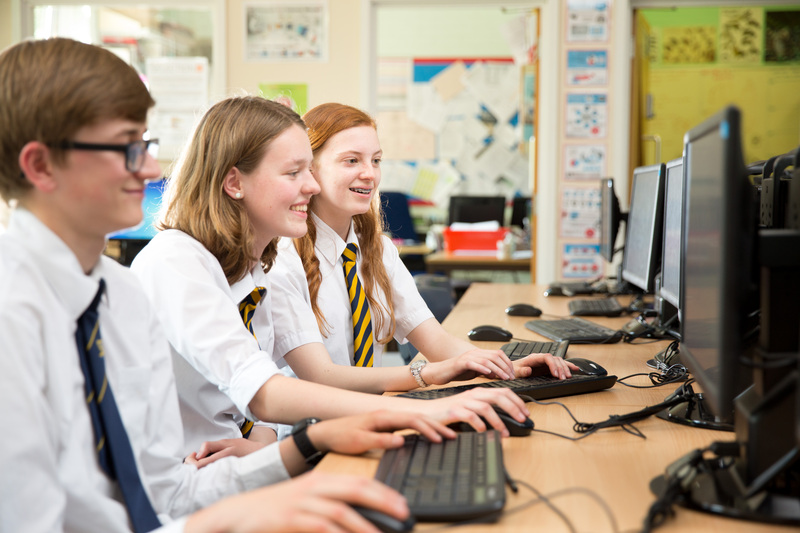 RS (Religious Studies) is studied and examined in Year 10 with the curriculum time in Year 11 given over to either supervised study or to a further option. * Note 1: All students will take a double science award and can opt to add Triple Science to this. This means they will study science for a further 4 lessons each week and will take a separate exam in Biology, Chemistry and Physics.